Especially developed for re-inking Royal Mark pre-inked stamps. Supplied in 10 ml bottles. Available in black, blue, red or green. 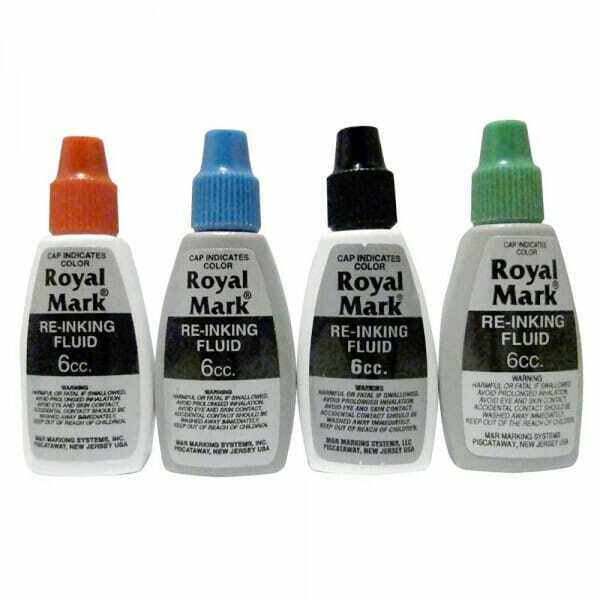 Do not use other inks as they will damage the stamp, Royal Mark refill ink is custom made for Royal Mark pre-inked stamps. To re-ink your Royal Mark stamp, simply turn the stamp upside down, apply the replacement ink directly to the surface of your custom message on the stamp and let soak ink for an hour. It is sufficient to lightly cover the surface of the stamp. Repeat if necessary. Customer evaluation "Royal Mark Refill Ink"